Isaac Newton, better known as Sir Isaac Newton was hands down one of the world’s greatest mathematicians and a male genius. He was born in the township Wools Thorpe-by-Colsterworth, in Lincolnshire, England and was born on December 25, 1642. He was an English physicist and mathematician who is still regarded today as one of the most influential scientists of history and was a key figure in the scientific revolution. Isaac attended school at the Trinity College and was later a mathematics professor at the University of Cambridge.He also wrote a book called Mathematical Principles of Natural Philosophy which explained the laws of motion, and universal gravitation among many other subjects. In today’s post we’ll be breaking down how to create your own Isaac Newton costume from scratch with pre-made options for those who don’t have the time. 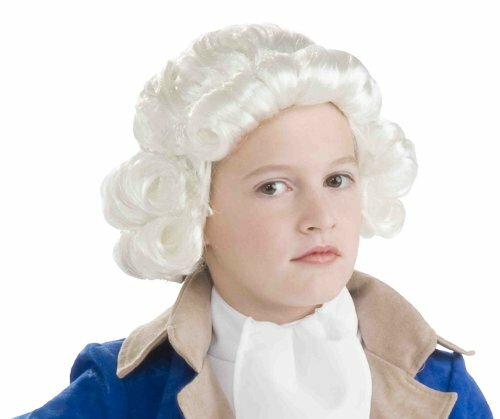 I have chosen a colonial style outfit that is perfect for this purpose, two blue outfits are pictured above however there are also brown and other colors available which may be more appropriate. One for children and one for adults so all ages can dress as this science icon. The adults set includes jacket with vest, jabot and blue pants, all you need to add is wig (covered below) and you’re set to go. Last but not least don’t forget the white wig. This is the essential part of completing your outfit. Remember you can always go online and find these costumes for reasonable prices. Sites like Amazon and e-Bay are the best and inexpensive. You may also find these in local Halloween shops and if they do not have them they can normally order them for you. A white wig in which you can find at local beauty supply or wig stores. As I said this is very simple. All you need to do is basically put the outfit on. When applying the white scarf to the costume make sure it’s loose around the neck area and the ends are tucked into the back of the jacket. This gives the neck a bulky look as was in style in those days. Of course don’t forget the black shoes. Dress shoes will look better but any pair of black shoes will do. This is a great for Halloween parties, or even for your little one to look and feel more intellectual. Newton was and is still a very iconic figure in world history today and has had mathematical terms named after him; like Newton’s Law. Sir Isaac Newton died on March 20, 1727 at the age of 84. He invented the world’s first known reflective telescope and studied the speed of sound. He was regarded by another of the world’s famous geniuses and possibly the world’s greatest inventor Mr. Albert Einstein. Mr. Einstein placed a portrait of Sir Isaac Newton on his wall as inspiration. 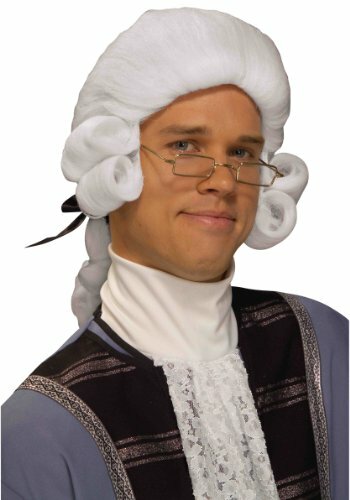 If you are looking for a Halloween costume to catch the eyes of many, an Isaac Newton one is a great idea. This costume is fairly simple to throw together and create. Little to no sewing at all is needed and the only thing you may have to buy is the white wig to accentuate this costume and maybe a pair of black dress shoes. However, all you really need is a pair of black running shoes. Feel free to pop a comment below if you need any advice or if you have a suggestion for the website and I’ll get back to you pronto. Happy Halloweening!